BR Giving has been operating without much noise and glamor. 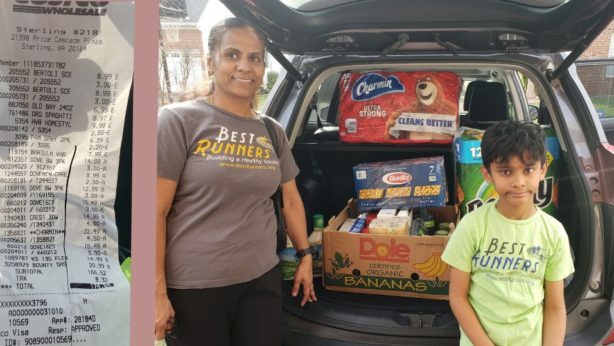 It has been operating steadily, no matter what the weather is – hot blazing sun or severe winter weather, BR volunteers have been keeping up the BR promise of giving back to the society. Just for the sake of the numbers it has been 75 already. It feels we celebrated the 50th, Golden Giving not so long ago but the Platinum Jubilee has already happened last Saturday (on 3/16/2019 in Chennai, India). A WhatsApp group “WeServe4GoodCause” comprising of like-minded people who contribute a part of their earnings every month for a community cause pooled and donated one month’s collection to Best Runners to help Universal Hostel For Blind. In turn, Best Runners additionally contributed to make it 2 ½ times of the original contribution for this noble cause. I am Raju. A visually impaired person and Retired Blind School Teacher. As the president of the “THE UNIVERSAL ORGANIZATION FOR VISUALLY HANDICAPPED”, Registered under the Societies Act, we are running a Hostel for the Blind Boys and Girls for the past 10 years in the above address where we provide Boarding and Lodging facilities to them. An account of increasing prices and other expenses, we find it very difficult to continue our service to them now a days. Enclosed here with a Xerox copy of photos of some of our hostel quarters. Ramesh from Chennai gracefully agreed to help with the logistics. Coincidently, his brother, Amar helped BR introduce Giving in the city of Tucson, AZ during the Golden Giving event. Ramesh contacted the president of the institute, Mr. Raju, who operates the hostel and got a list of items that they immediately need. It was a month’s grocery list. 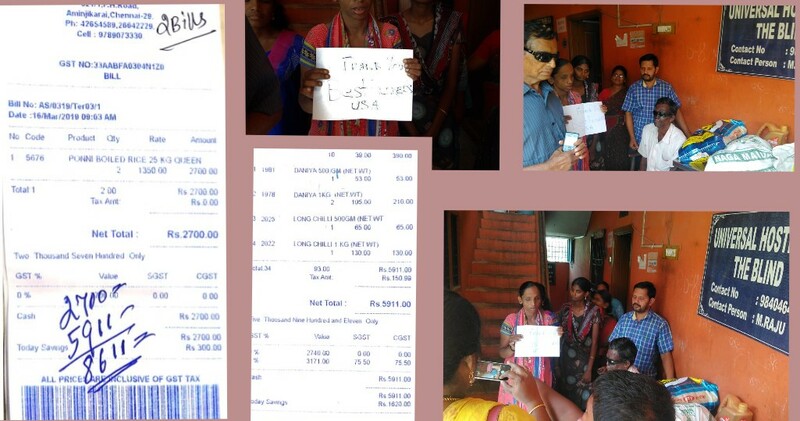 The family acquired the grocery items and visited the hostel to donate the same. The family met the residents and had conversation with them. They learned that they are in need for cooking vessels and kitchen utensils and agreed to return to the hostel with the same. They have a big heard to donate to the needy. 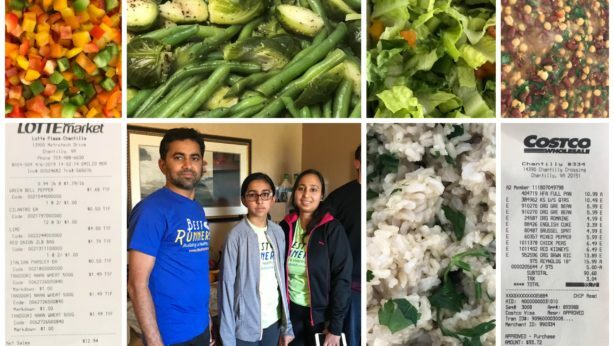 A big Thank you from BR Team, Ramesh and family, for helping Best Runners expand their reach and for your kind gesture of agreeing to help the institute by donating cooking vessels and utensils from your side.